When I started on the Uuni pizza oven review I did not realize how popular cooking you own pizza outdoor has become. The Uuni website surprised me because it is actually called Ooni.com and I thought I landed on the wrong site at first. The Ooni Koda is the most affordable and in my opinion only one that performs this well in this price range. 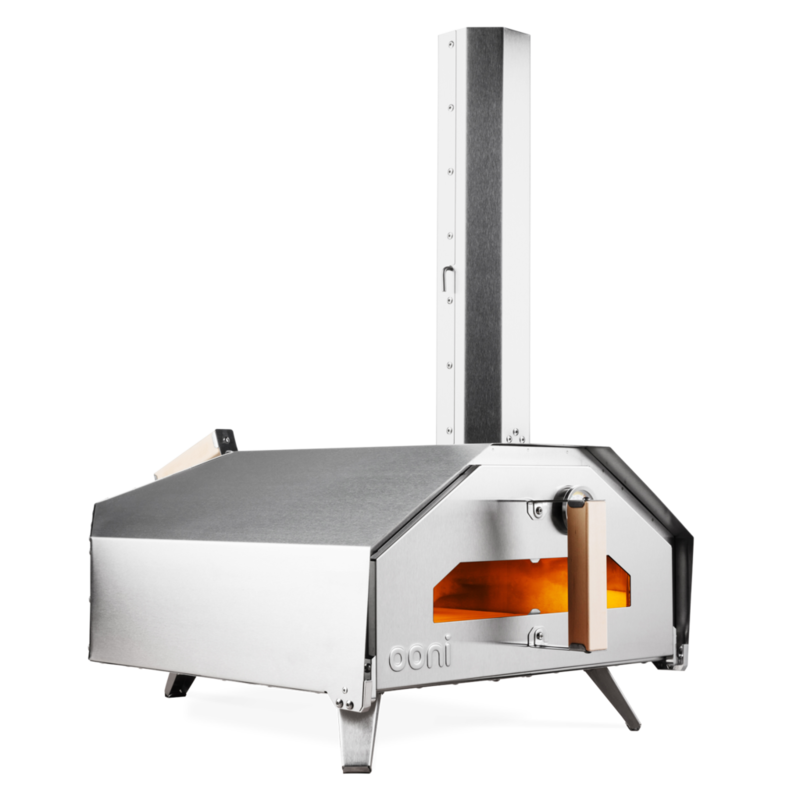 The Uuni 3 can be purchased with a few bundles that can including wood fired, gas fired or a combination of both. With optional accessories like a Pizza peel, cover, pellets and more. I will write more about all the options later. In a hurry? 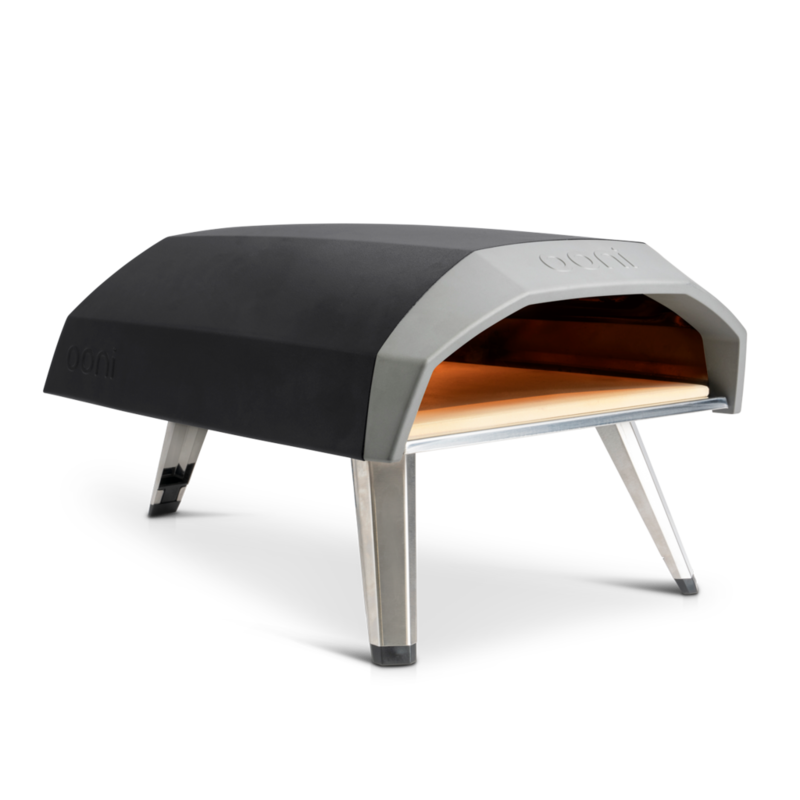 have a look at all the Uuni pizza ovens here at their website and see if there is one that you like! 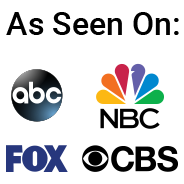 Lets have a look at all the different models first and see what the differences are to help you decide what models fits your needs the best. The Ooni Koda is a gas powered oven that gets really hot. There is no assembly required and it works right out of the box. All you have to do is flip the legs that are folded under the unit, attach it to a propane gas tank, place the pizza stone and fire it up. According the Ooni website it takes 60 seconds to bake a perfect pizza with the Koda. Pre heating takes about 15 minutes and than you can use the dial to set the temperature for fish, vegetables, steak and pizza. The oven can reach temperatures up to 930 degrees Fahrenheit and that is about 500 degrees ceclius. The price is just under $200 dollar and you will probably not find any other outdoor oven with all these options for that price. Have a look at the Ooni Koda here! The Uuni 3 is probably the best seller from Ooni and I can see why that is. This wood fired pizza oven reaches 930 degrees Fahrenheit in roughly 10 minutes and than is ready to cook pizza up to 13 inches diameter. This bundle option will cost you $100 dollar more, but considering all the extra’s I think it is a good deal. 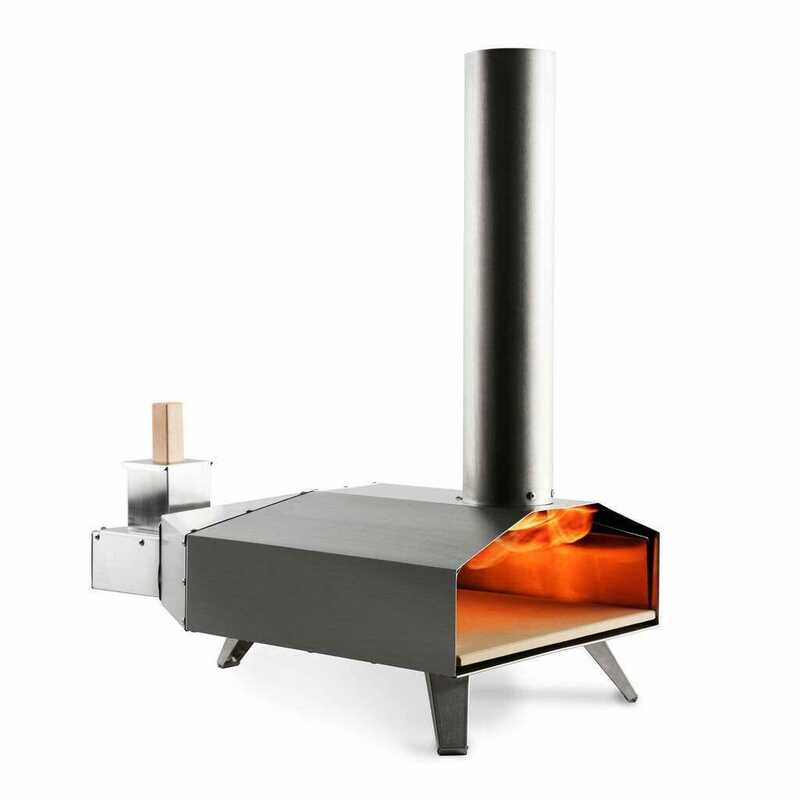 This bundle gives you the option to choose between wood fired or gas fired for your pizza oven. The gas burner can also be bought separately as an accessory, but this is a better option and will save you some money. This will make the bundle have the same items as the wood-fired bundle + the Uuni gas conversion. Have a look at the Uuni 3 pizza ovens here to see if you like all the options. In this what I can almost call Uuni pro pizza oven review you can read all about this outdoor oven. The Ooni pro comes with several options and is very versatile in use. Choose between wood or charcoal to fire it up and watch it get up to temperature in no time. This outdoor oven is with its 16 inch a little bigger than the other 13 inch models. Besides the option to burn wood or charcoal you can by as an extra option the pellet burner or gas burner to make it even more options available to use this outdoor oven. have a look at the price of the Uuni Pro here to see if this is the outdoor oven you are looking for. Compared to the Uuni Koda or Uuni 3 this pro comes with a door that has a thermometer build in it. There are more parts in the box to make it to a real outdoor oven that can be used for many types of cooking an baking. All ovens are insulated with ceramic fiber to keep the temperature as steady as possible. They also come with a Cordierite stone that will retain the heat very well. If you like to cook meat, fish or vegetable in your Uuni oven you should have a look at the Sizzle pan. This cast iron oval pan measures 9.7 x 5.6 x 1 inch and weighs 5.7 pounds. This shows the heavy duty quality. It also comes with a cast iron handle and a wooden base to set it on. You can also look at our PizzaCraft pizza stone review if you like to see some other options. Or Maybe you have a Weber Kettle and like to make some pizza with the Kettle pizza kit I reviewed. 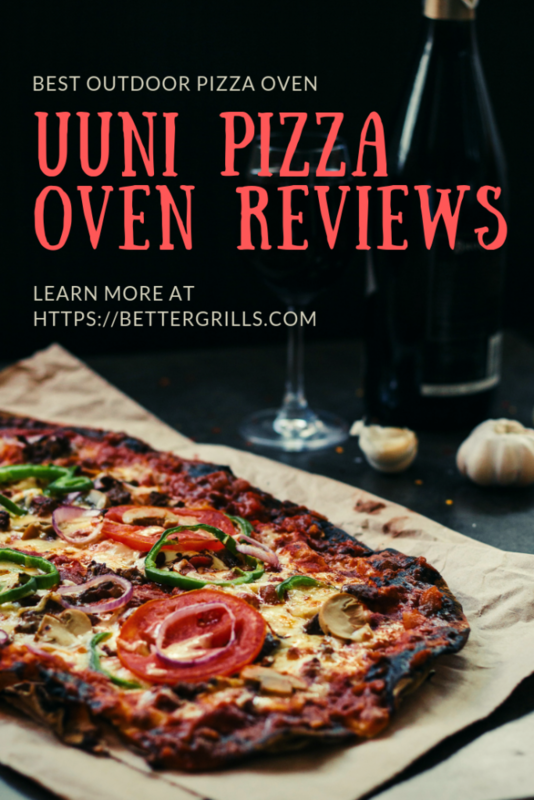 If you have any experience with these ovens and have anything to add to this Uuni pizza oven review feel free to leave a comment below.